This Dead of Winter board game review was made after playing the game seven times. What is Dead of Winter? 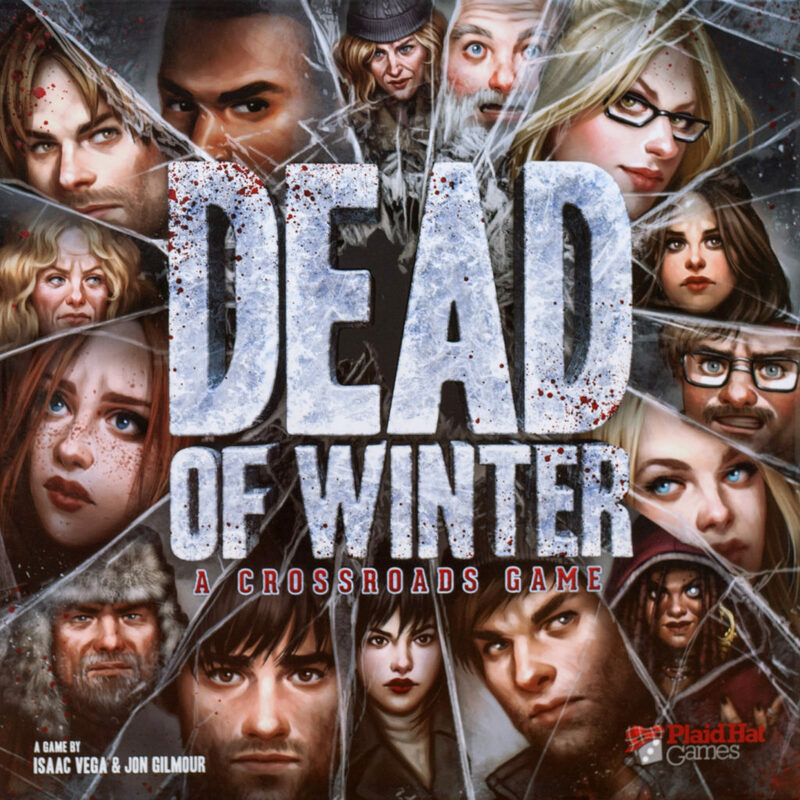 Dead of Winter: A Crossroads Game is a semi-cooperative board game designed by Jon Gilmour and Issac Vega, produced by Plaid Hat Games. The game takes the players into a colony of survivors in the midst of a zombie apocalypse. Within the colony, each player will lead their own group of survivors. Although each player has their own set of personal struggles, it is still important for players to work together for the good of the colony as a whole. There is a deck of cards in Dead of Winter that will outline the objective for the current game. Once the objective card is picked, it is placed on the board in the corresponding location. The objective cards will tell you the colony’s main objective as well as where to place zombies. Dead of Winter is a cooperative board game, but it also allows each player to have their own secret objectives, which they are not to show other players. There is a chance that someone can get a betrayal card, which means that their objective is to make the group fail, among other things. Each player receives dice and a player board (this details the actions they are able to take). Every game round includes a Player Turns Phase and then a Colony Phase. To start, the first player will pick a Crisis card that will have to be dealt with by the end of the round. A person to the right of the first player also picks up a card from the Crossroads deck, which they read secretly and they act upon it if it fits with a situation that is occurring on the board during that turn. The player can then take his or her turn and can either use the action dice to kill zombies and/or to search locations, or they can use their cards to help/hurt the group. There is also a twelve-sided exposure die that is used when you move to a new location and when you kill zombies. This die can lead to you getting wounds, getting frostbite, or just straight-up dying on the spot via the “bitten” logo. When a player is bitten, the virus spreads to other players in the same location. This can lead to a bunch of deaths in a single turn. Even though it’s a cooperative game, individual players in Dead of Winter cannot win if they have not completed their secret objectives. The whole colony (other than betrayers) loses if the morale or round markers ever reach zero before the main objective is completed. If you want to see a complete list of all of the Dead of Winter rules, take a look at the official rulebook (PDF). The theme really shines in Dead of Winter. The characters, the locations, the zombies slowly moving to your doorstep, and just about everything else in the game makes you feel like you are in full-on survival mode throughout each game. The theme isn’t original (see below), but it certainly is strong in this game. The Crossroads cards are amazing! It is awesome that the game state determines whether or not each card is triggered. Plus, the stories on the cards are great and it’s always fun to vote as a group to see if you should go through with an event or not. Very cool. I also really like that you have to make tough decisions in this game. Do you go out and try to gather supplies or do you stay back and help protect everyone from the zombies? You also have to worry about traitors or, if you are the traitor, creatively (and slowly) making the team fail. Even though my group prefers fully cooperative games, the semi-cooperative aspects of Dead of Winter give players a bit more to think about. This is a good thing because it adds to the survival feel that the creators were going for. There is a lot of game in the Dead of Winter box. There are a ton of objectives and Crossroads cards, so you are definitely getting plenty of replay value this one. It has to be said that the central theme of Dead of Winter is not very original. That’s not necessarily a bad thing, but many people will be turned off by a post-apocalyptic zombie game simply because there are so many games, movies, and books that cover this genre. Plus, this could easily be called “The Walking Dead: The Board Game” since that’s basically what it is. If you don’t like traitors in your co-op games, you should probably steer clear of Dead of Winter. Of course, you can play it as a straight-up cooperative game, but that takes a bit away from the experience the designers were going for. It is not surprising at all to see that just about every Dead of Winter board game review has been positive and that it received the Golden Geek Best Innovation Board Game in 2014. It truly makes you feel like you are going through a zombie apocalypse and must work hard to hurdle all of the obstacles it throws at you. It doesn’t matter if you are a fan of the zombie genre or not, chances are you are going to enjoy Dead of Winter if you like tense cooperative board games. There are other games that are kind of similar to Dead of Winter, but this is my group’s favorite zombie board game right now. 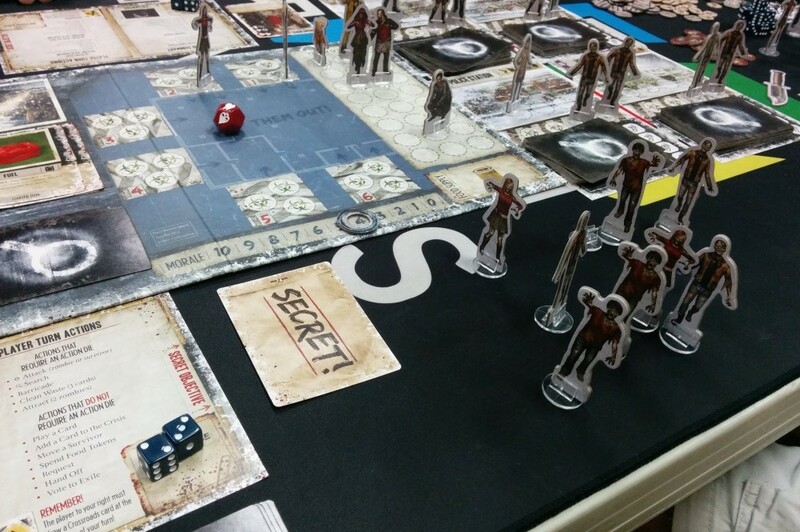 Thanks for taking the time to read our Dead of Winter review!